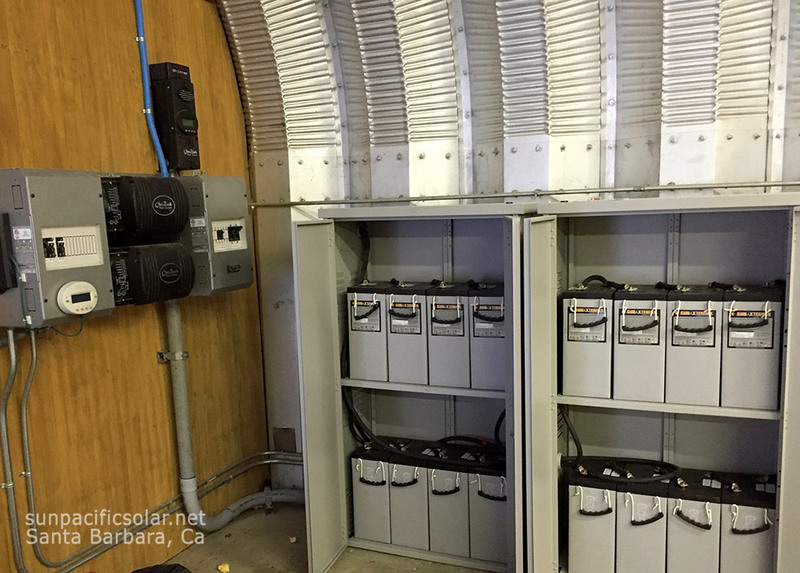 One of our off-grid installations for a fire station in Los Padres National Forest. Some of the most beautiful places in this world are in areas of low to zero traffic, and these are places that may not be quick or easy to access. If these are the places that you love to be, you might consider the resourcefulness of an off-grid solar system. We want to help you be able to live comfortably off the grid while taking advantage of our planet’s greatest natural resource. Off-grid solar electrical systems deliver power to where you need it. “For decades I lived on a remote section of the Hollister Ranch where there were no utilities available except what we created ourselves. 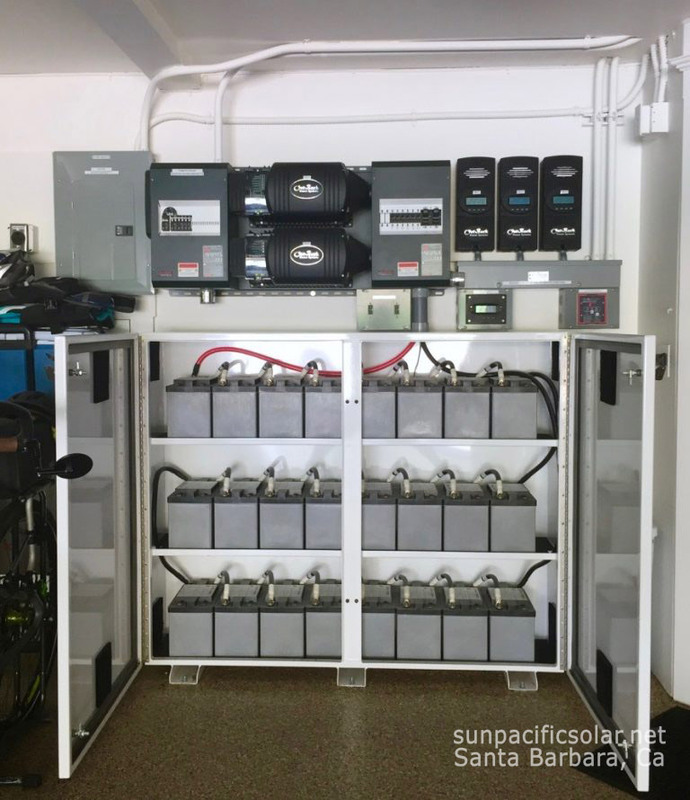 Sun Pacific Solar installed two large PV systems and one smaller one for houses on the property, all with backup generators. 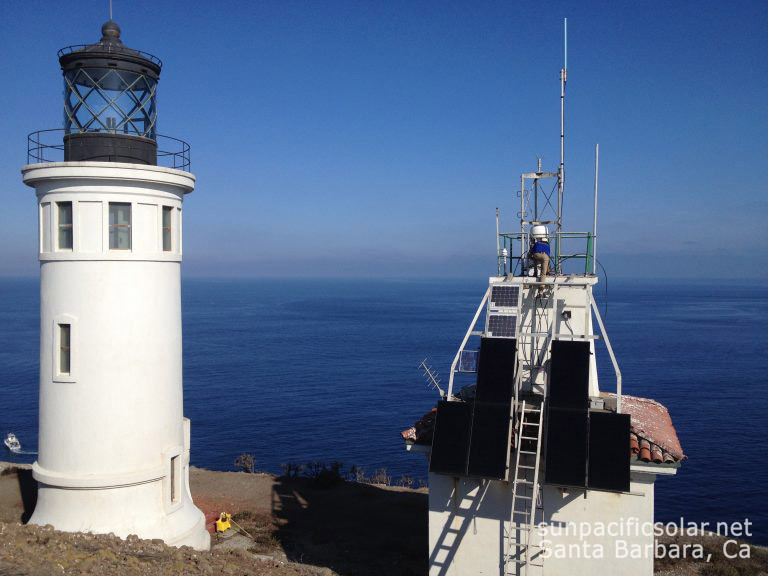 I would highly recommend Sun Pacific Solar as a source of alternative power installation.” – Paul K.
An off-grid system on Anacapa Island powering an emergency relay communication system for Ventura County and light for the lighthouse for the National Park Service. The system is mounted on the side of the building due to historical preservation limitations. Our photovoltaic systems are composed of solar panels, inverter, charge controller and a bank of batteries for storing the energy produced with the sun. We work with our customers to find a power solution that fits their needs while utilizing simple design criteria. Our solar systems can be designed to be fully automated or work with a manual interface. Our systems are being used to operate critical systems such as radio communications for Search and Rescue organizations and even County and Federal emergency services. 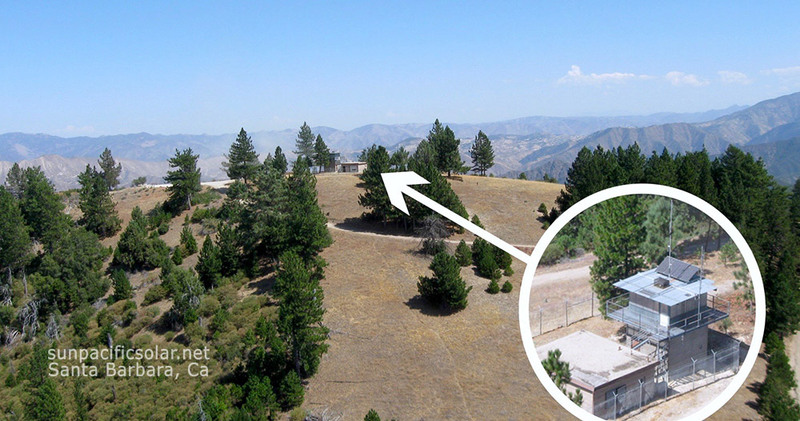 An off-grid agricultural system providing power to a water well for a farm in Rose Valley, near Ojai California. We install solar panels on all types of roofs. Panels can also be installed on ground mounts or we can incorporate them into new structures. Our SunPower solar panels are aesthetically pleasing and long-lasting, and are the most efficient panels in the world. You can rely on them to work any remote location you live or work in. Every component selected is the best quality available, from the bolts and steel, to the inverters and solar panels. Our team is built on years of electrical experience. We have a complete understanding of the solar electrical systems we design and install. All of the electrical work required to install your system is done in house by our licensed and trained electricians. Our workmanship is performed with pride and dedication, and is also fully backed by our service warranty. We care about helping to move people into a sustainable future, and off-grid systems are the pinnacle of energy independence. Give us a call and let us help you achieve your off-grid goals today! 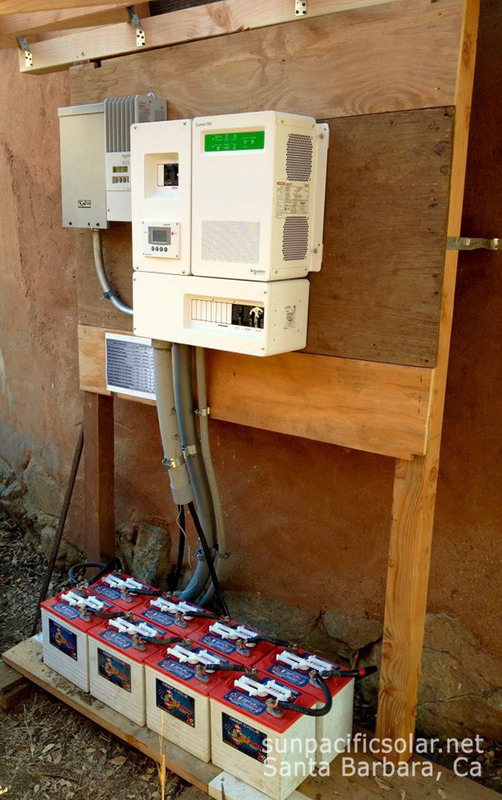 An off grid battery micro-grid residential system in Santa Ynez Valley.